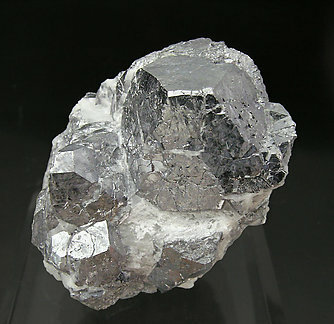 A well developed crystal on matrix. 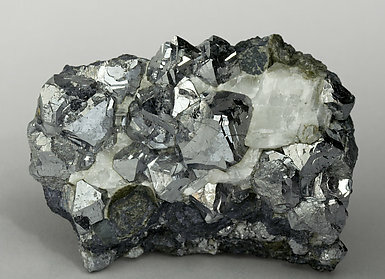 The sample was purchased by Folch from Victor Yount in 1974 when Yount began the commerce of minerals, precisely in Spain. 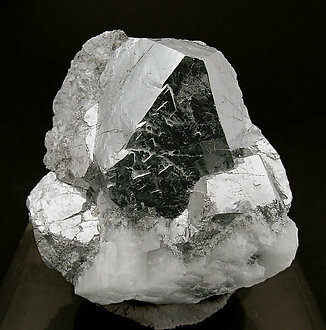 Cube-octahedral crystal with very well defined faces and edges, on matrix and with Calcite. A Moroccan classic. Groups of unusually well differentiated octahedral crystals with small cube faces, very well defined and very bright. They are on matrix, with Calcite. 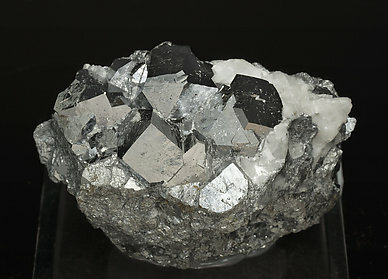 Irregular aggregate of very sharp cubo-octahedral crystals of Skutterudite, with very well defined faces and edges, on a matrix of the same Skutterudite and with white Calcite.